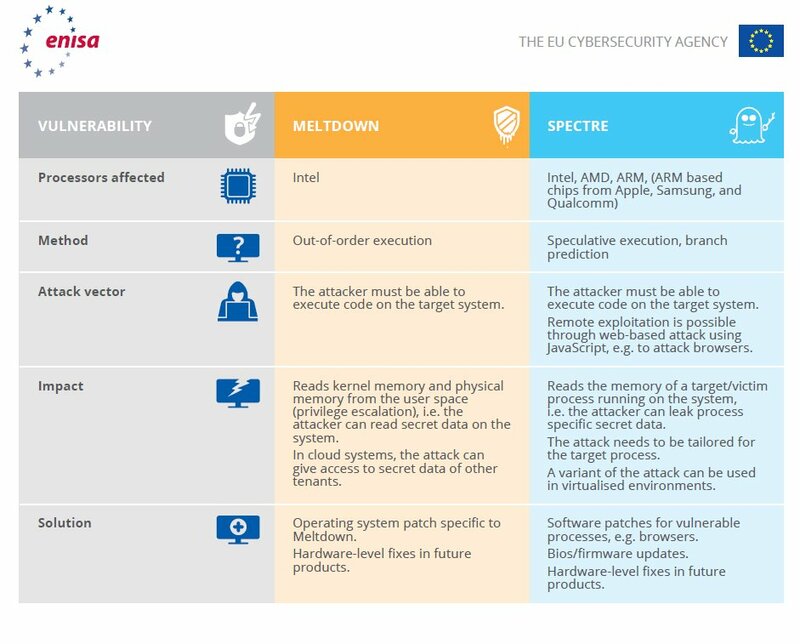 TBH I don't know for certain that intel FSB chips are not effected by atleast 1 varient of spectre. It seems reasonable to me that all intel CPUs are effected by 1 variant of spectre. aka meltdown. It is not clear to many people that we are talking about 3 different kinds of attacks here. To exploit each attack requires different methods and not all CPUs are vulnerable to every kinda of vulnerability. I mean that there are many architecture changes between for example a p4 and a I7. It could be that theoretically a p4 can be attacked the code and the means in which to exploit that architecture is different than the I7. Many people are familiar with the way people write viruses. You pick the most common operating system and write some code that will effect the most people. If it is true that the code needs to be different to attack a P4 than a I7 how many people do you think are going to write a virus for that knowing that probably no one isa P4. Where I got this idea was from intels own white paper where the disused that the differences about how a CPU with hyperthreading couldn't be attacked the same way as a CPU without hyperthreading for example. different processor families and generations. Currently MS has pushed out a patch to all computers to disable their previous patch becasue its buggy. I think it really doesn't matter. If anyone is good at compiling code or running linux go here and you can check if your CPU is actually vulnerable by running sample code. Instead of all the BS software people keep posting that only tells you if you are patched and is a waste of time. Here are POC links proof of concept so you cna run real code to test. Spectre: Formerly more than 10 years ago, the processors accessed the cache memory through a bus called FSB, which was outside the processor. Since 2008, to access the cache faster, the FSB was suppressed and this memory was introduced inside the processor chip itself. Since then there are the problems of Spectre. --- There is a lot of publicity on this subject and people think of a real danger. Truly the danger is minimal. The browsers are already updated to mitigate these vulnerabilities regardless of whether you put the Microsoft patches. To this we add that Meltdown is already mitigated with patch. We have for the moment Spectre that to take passwords we must download a malware with our permission and execute it. And it is tremendously complicated because we would have to make a specific malware for each processor. Motherboard manufacturers have already started to release BIOS updates with Intel's new microcode, but they have caused instabilities in the systems. They have recommended going back to the previous BIOS and waiting for Intel to fix the problems. I am really more worried about the MINING on the web than Spectre. Can you elaborate (esp. on "patched DLL files like crypt32.dll"), please? KB4019276 is not really helpfull. For my understanding it gives only IIS conections (server - client) the TLS 1.2 option. It works great if configured correctly (but sometimes need a little "handwork" for full access to some sites with nested certifikates). Cannot install latest Java - jre-8u161-windows-i586.exe. The installation just stops after a few seconds. I uninstalled the prior version and even tried safe mode, but no luck. And I did the uninstall and tried this full offline download because the normal java update also hadn't been working. So no java anymore? And what will that do anyway? See here, and here, and the subsequent posts. It has been reported to Oracle, but whether they will do anything to fix it as they don't officially support XP any more, I don't know. Remove Java using the jre1.8.0_152 (or 151) installer, reboot, then reinstall Java jre1.8.0_152 (or 151) and check it's working. I can do it but can somone just make a detailed guide on how to do it that normal people can understand. If no Ill do it but pls. To fix the installing problem in Win XP you can try to "install" the "new" Java file versions by hand in the "old" Java program directory. If you have done the standard installation you have the Java files installed in the default folder "c:\programs\java\jre1.8.0_151"
Download the new Java files (v161) as packed archive "jre-8u161-windows-i586.tar.gz"
Via explorer MOVE all the entire files / folders from "c:\programs\java\jre1.8.0_151" to a backup folder (name dosn't matter). Open the archive "jre-8u161-windows-i586.tar.gz" with 7z. In the subfolder "jre1.8.0_161" you can see the same structure as before in the program folder. Copy all files / folders under "jre1.8.0_161" into the default folder "c:\programs\java\jre1.8.0_151"
The name of the "old" program folder dosn't matter, it works. If you open the Java control panel you can see and administrate the new version. This works for me. It may be that something will not work, but I don't know any issue at this time. But remember: in the "installed programs listing" you see ever the old (last really installed) version string "v151". And don't be confused about other subfolders with lower version numbers in the Java program directory. If you don't need / use older Java versions (for excample 7) then you can uninstall them - and delete this old stuff. Edited February 5, 2018 by Thomas S.
ty much better than the other things I read. Thomas S - Many thanks. I'll try later this week. But I am curious - what if I had no Java? What would that do to my life? but it continuously says I'm unauthorized to download. This is after I temporarily permitted all cookies and scripts on the page, etc. What am I doing wrong? SHould I get the .gz file elsewhere?